id you know most of the “Kalamata” olives sold in the US aren’t from Greece (Turkey, Egypt, Morocco), same goes for the feta cheese (USA), Greek grape leaves (China), “greek” Florinis peppers (Turkey), and NONE of the Greek Yogurt is Greek (USA). Extra Virgin Foods only sells authentic Greek goods, with the highest quality, and excellent taste, we feel it is time Americans discover true Greek food. We deal direct with the source, and sometimes we become the source. We have an extensive full time presence in Greece, and our buyers are usually in the elds or in the production, rather than in an o ce. When comparing apples to apples, our pricing cannot be beat. We strive to present the unique bounty of Greece’s farmlands to the American consumer with attractive packaging that will entice them to try our delicious and wholesome products. orn into a family of farmers and food merchants, Paul does everything from meeting with growers, working with customers, to designing new packaging or recipes. During the harvest you will find him in Greece either in the olive mill, or amongst the trees ensuring the olive fruit is brought to the mill as soon as possible. Paul, has been “in the kitchen”, so to speak, his entire life. As the founder of a two time Best of Boston winning luxury kitchen manufacturing company in Boston, his kitchen showroom used to host Mr. Billy Costa’s TV Diner television show, where he saw chef legends on weekly basis, names like Ming Tsai, Jody Adams, Ana Sortun, and Todd English. This was his start in the food business as he began selling his olive oil to the chefs he met in his showroom during lming. 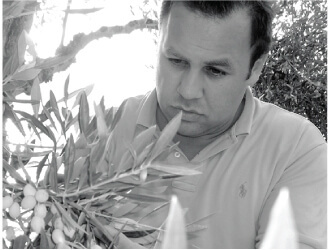 Paul is passionate about quality and spends about half the year in Greece, and the rest in the US with his customers. Other than food, his other passions are his two young daughters, and sailing the beautiful Aegean Sea. ax is Paul’s father, and was born in a small farming village in northern Greece. Max studied and graduated from the American Farm School in Thessaloniki. He emigrated to USA during the military dictatorship in Greece, in the early 1970s. 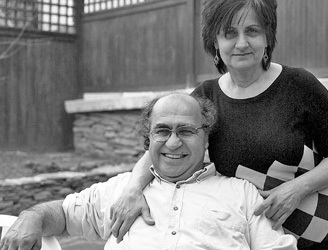 He has been importing and selling olive oil in the Boston area since then, and has met some of the regions best chefs through his other business, restaurant construction. Recognizing the opportunity in Mediterranean food, he introduced his son Paul to the food business, and together the company now has over 30 products and is expanding distribution nationally.